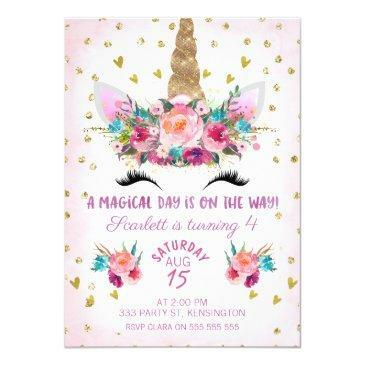 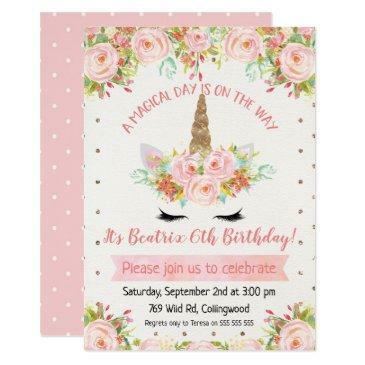 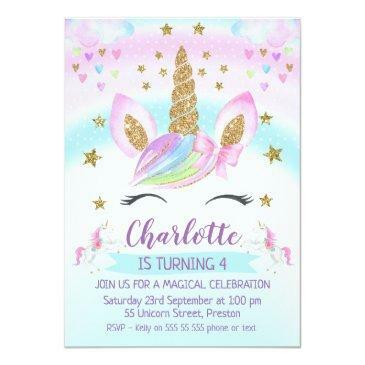 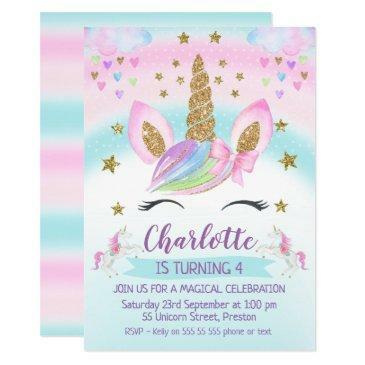 Cute unicorn birthday invitation with a little bling. 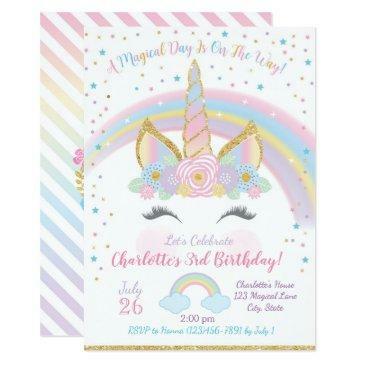 This design features a unicorn face, two clouds, some heart and faux gold stars, a banner and 2 small unicorns. 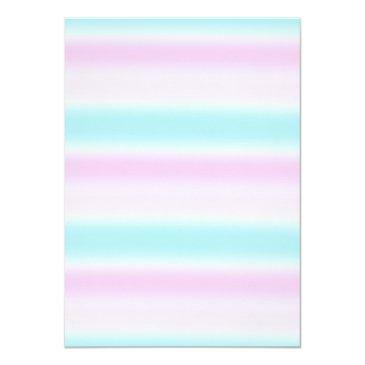 The background includes a faint blue and pink rainbow. 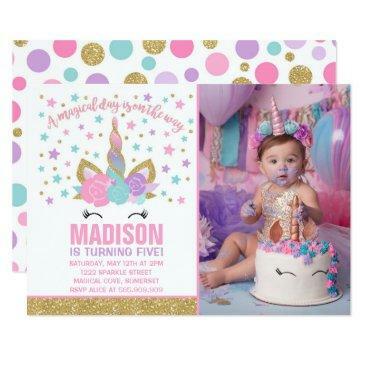 The color scheme is essentially blue and pink with touches of purple and green. 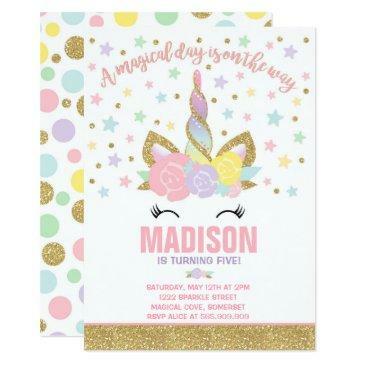 This girl's magical rainbow unicorn birthday invitation is ready to be personalized. 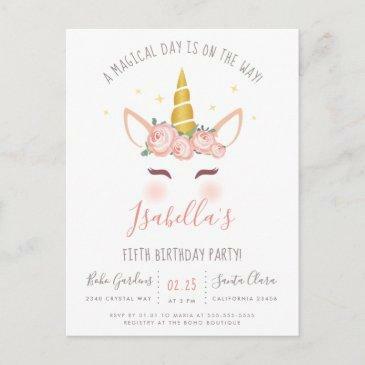 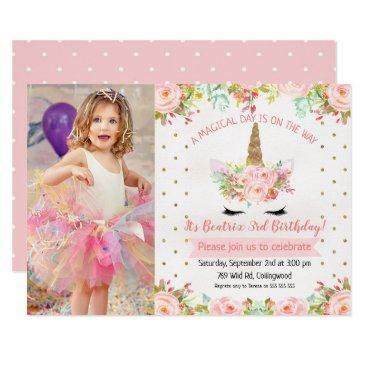 For more unicorn birthday invitation designs please visit the store.